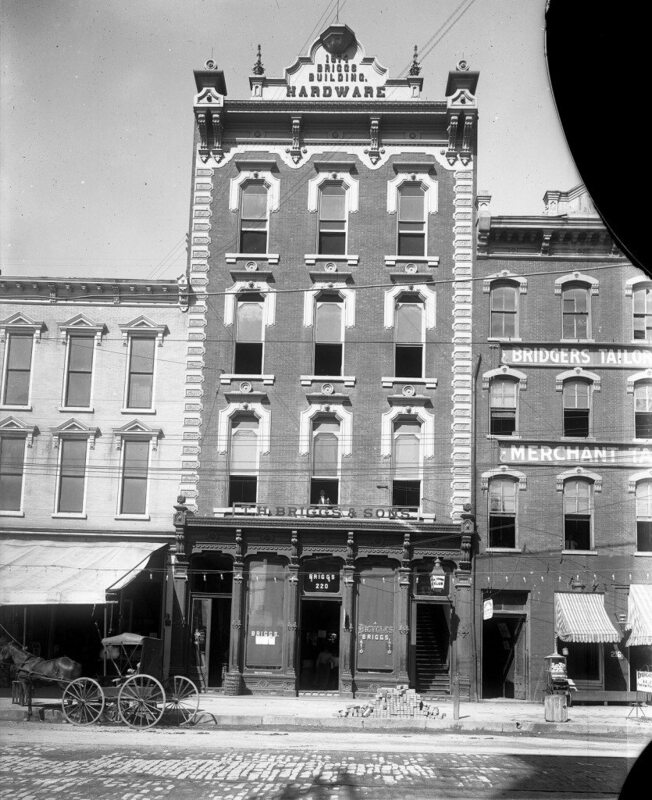 #TBT – Today we are throwing back to 1910, and the Briggs Hardware building, located at 220 Fayetteville Street. The building is the only 19th century commercial building in Raleigh that remains virtually unchanged since construction, which was completed in 1874. It was Raleigh’s first skyscraper, at four stories (plus a basement). In addition to a retail hardware establishment, the building also once housed the YMCA, a Catholic church, the Raleigh Little Theater, and attorneys and insurance offices, and it is now home to the City of Raleigh Museum. It is a designated Raleigh Historic Landmark. Happy Thursday!